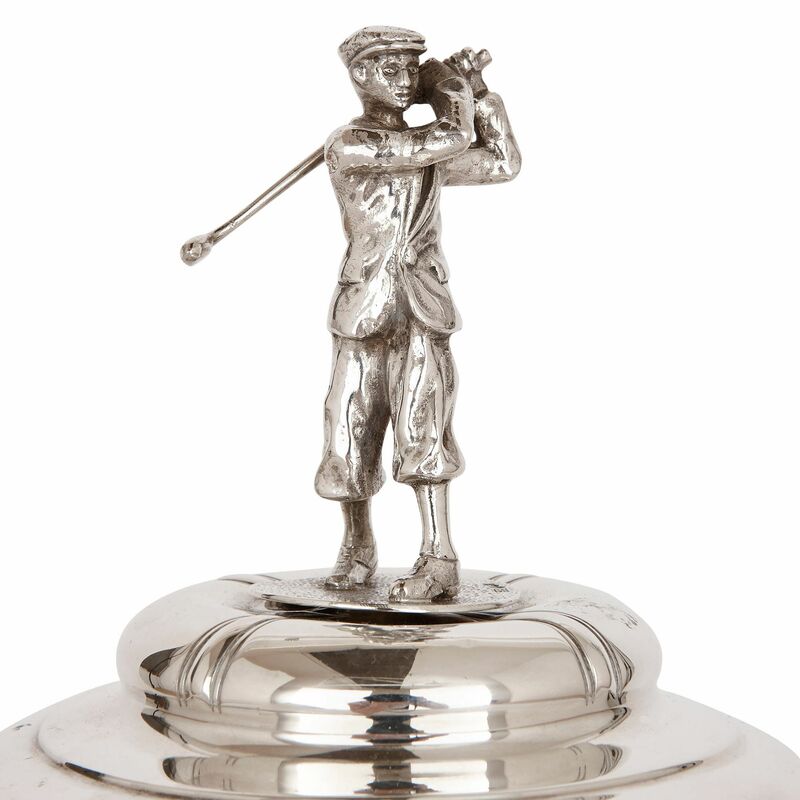 This silver golf trophy will make a wonderful addition to a collection of sporting antiques, or can be enjoyed purely as a magnificent piece of craftsmanship. 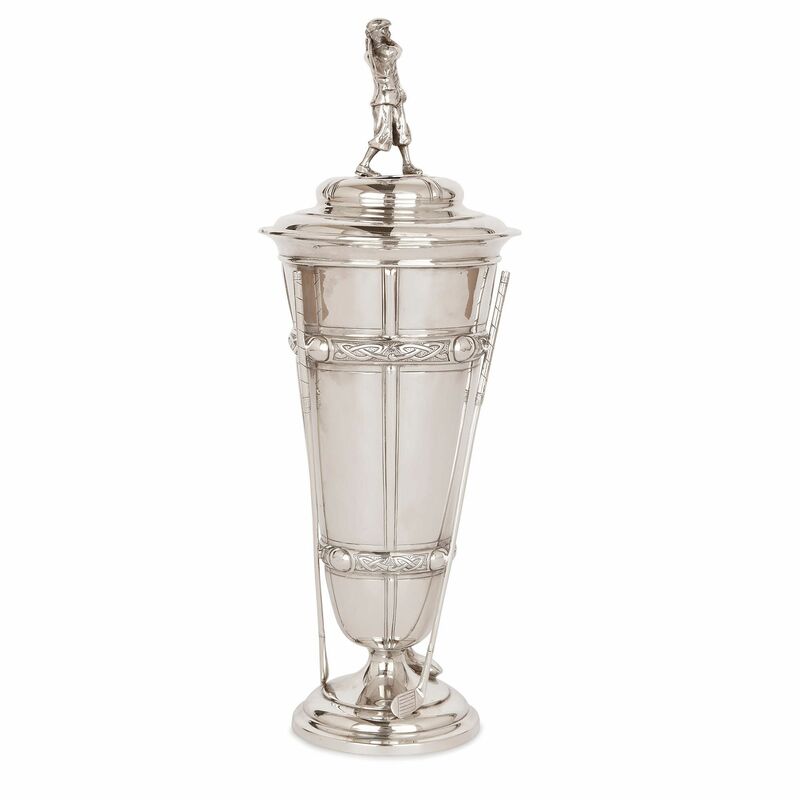 The trophy is shaped like a vase, with a tapered body which stands on a circular foot. The lower and upper parts of the body are decorated with raised bands, which are engraved with ovolo mouldings and knotted pattens. 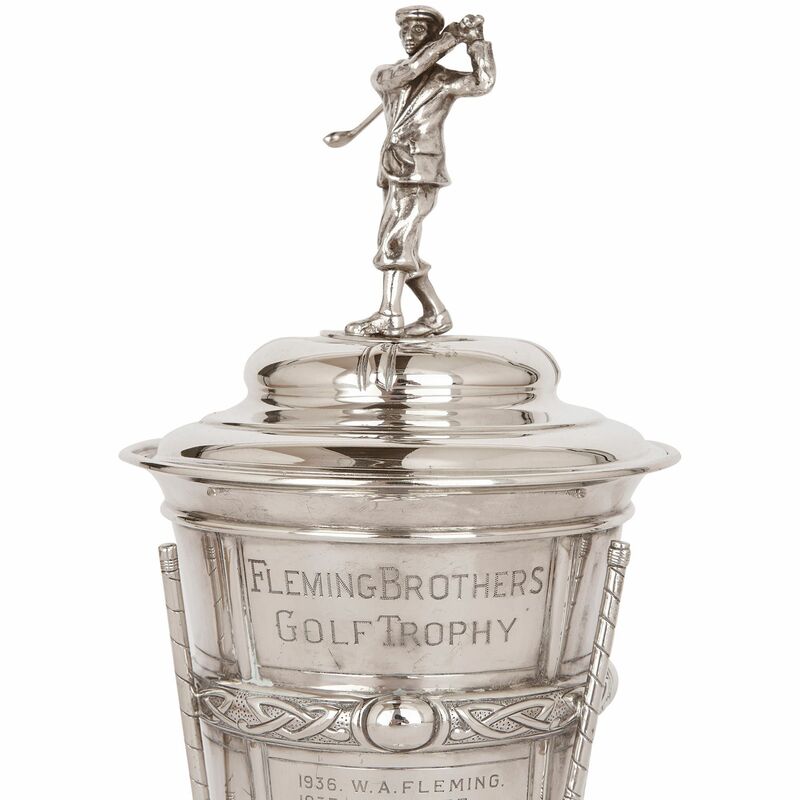 'Fleming Brothers Golf Trophy' is inscribed in space above the upper band and the names of the people who won the cup between 1936 and 1977 are listed below. 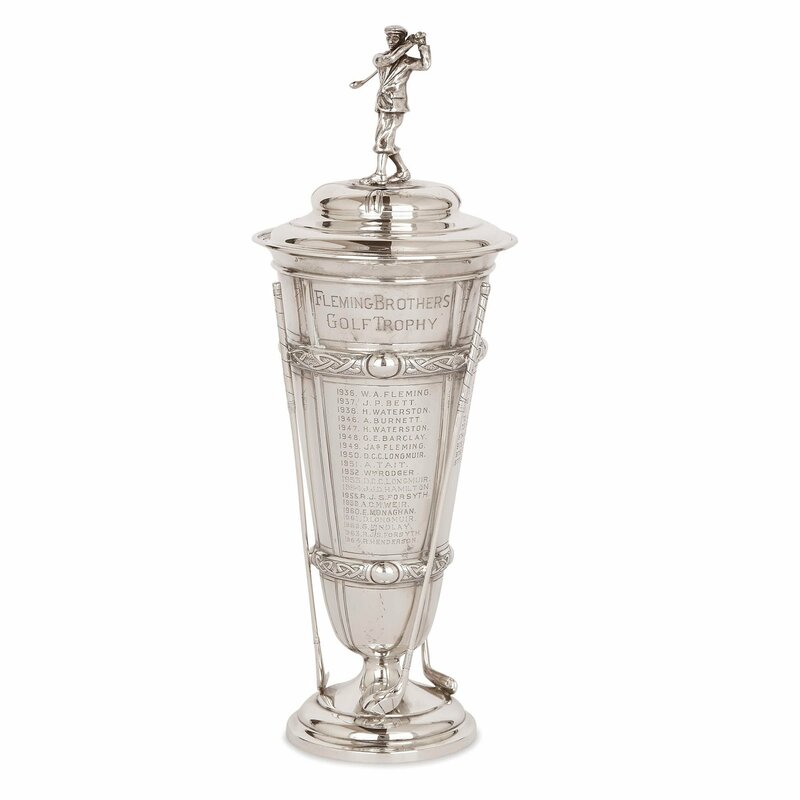 The trophy is a record of the competition, which appears to have ended in 1977, when the last name was added. Four long, silver golf clubs lean against the sides of the body. 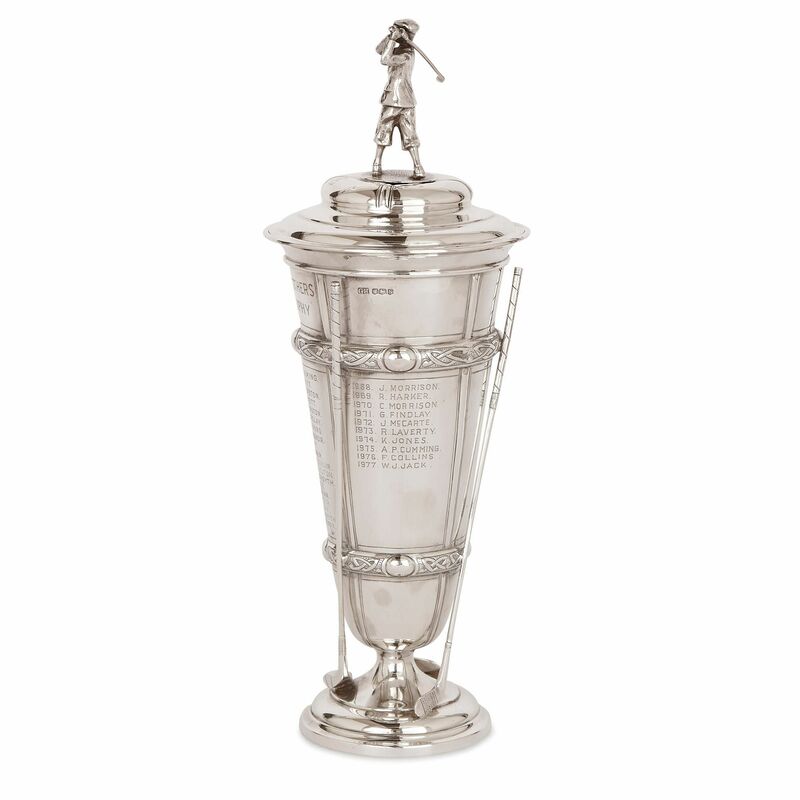 The piece is topped by a shaped lid, which is surmounted by a male golfer, with a club swung over his shoulder. This trophy was crafted by George Howson of Harrison Brothers & Howson, a silversmithing firm based in Sheffield, England. 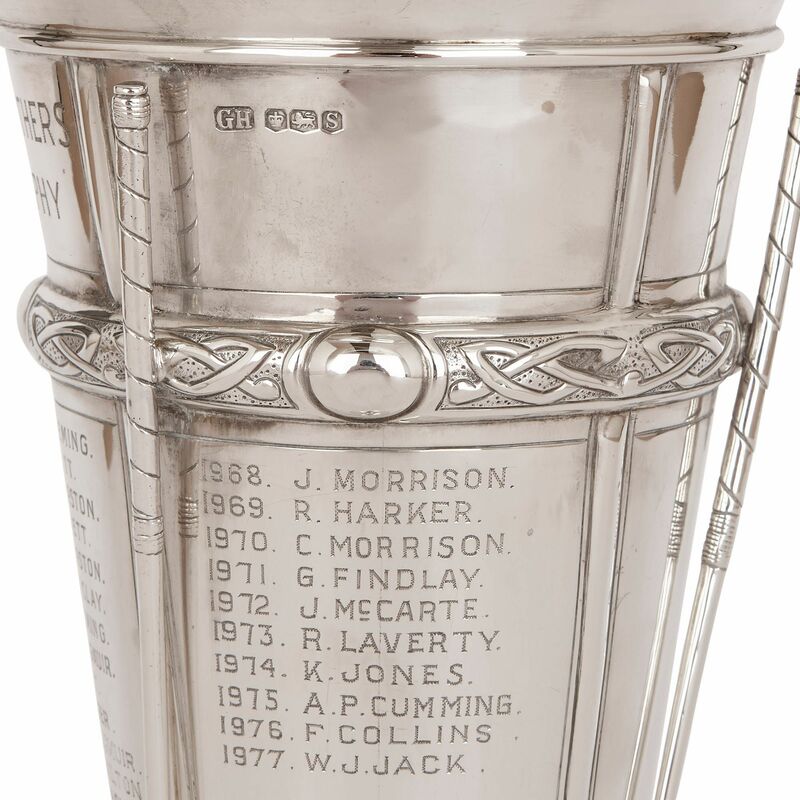 The company was founded in the early 19th Century by Thomas Samson, and was taken over in 1847 by James William Harrison, Henry Harrison and James William Howson, calling themselves the Harrison Brothers & Howson. 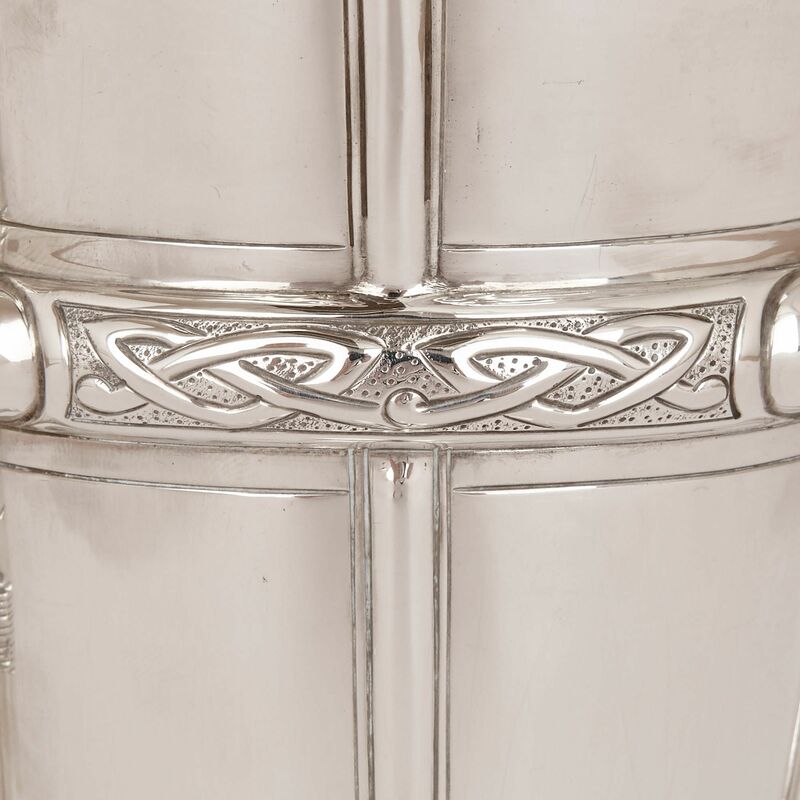 George Howson, who made this piece, was James William's son, who eventually took over the business. The company were well established in both Sheffield and London, where they had several showrooms, and their output was of a consistently high standard.